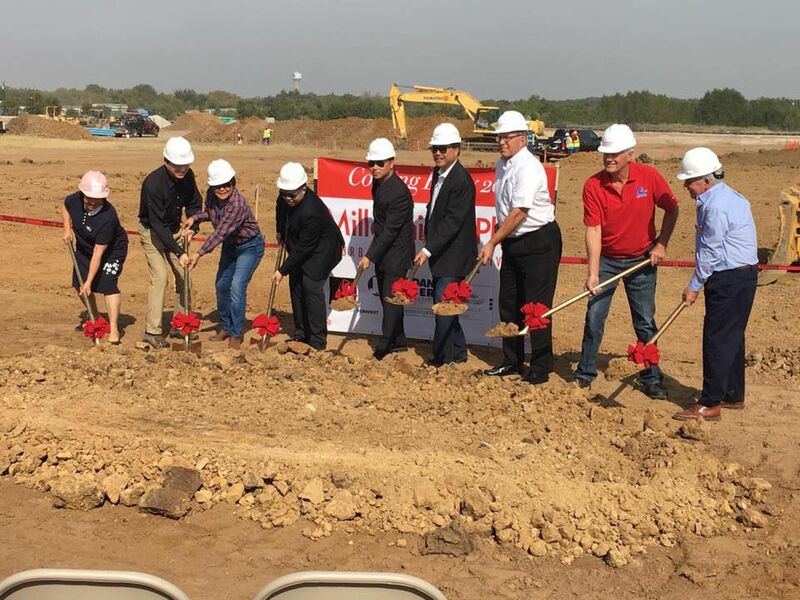 Construction has popped up at Millennium in Corinth, a new mixed-use development along the east side of South Interstate 35E. The 24-acre project, which combines luxury apartments, retail, office and hotel space, officially broke ground at the end of October. Now, groundwork is underway and on time at the intersection of South Interstate 35E and Dobbs Road. The development includes a 228-unit luxury apartment complex and Fairfield Inn & Suites by Marriott, with pad sites for retail, restaurant and office space. "We're excited because we think it's going to serve as a really big catalyst for other development," said Jason Alexander, executive director of economic development in Corinth. "We're looking around the Interstate 35 corridor, and this is going to set the tone for us." The apartment complex is set to open in early 2019, alongside about 20,000 square feet of restaurant and retail space, said Whitney Miller, marketing director for apartment developer SunRidge Management Group. In addition to high-end finishes, the complex will have a fenced-in dog park, a resort-style pool, a 24-hour gym and a rooftop lounge. At this time, no tenants have been announced for the commercial portions of the project, Alexander said. Representatives for Retail Connection, which is leasing the commercial spaces, did not respond to requests for comment. Fairfield Inn & Suites is expected to open by 2020 and will have at least 88 hotel rooms, Alexander said. The hotel need to open by Oct. 1, 2020, to fulfill the Chapter 380 agreement the hotel developer, 6Q Hospitality, made with the city. Also under the terms of the deal, the hotel must provide at least 22 non-seasonal jobs. The Corinth City Council approved the incentive deal in October, which will run from 2019 to 2029, Alexander said. The company will be reimbursed 100 percent of the sales and use tax collected on construction materials, fixtures and furniture for the building. Also, the city will refund 75 percent of the hotel occupancy tax generated by the hotel and its conference center through 2029. Master plans for the development include seven restaurants, seven retail stores and three offices, according to the Retail Connection website.